Pifeltero (Doravirine) is indicated to help control HIV infection. This is used with other HIV medications. This helps to decrease the amount of HIV in your body so your immune system can work better. HIV medicines can’t cure HIV/AIDS, but taking a combination of HIV medicines every day helps people live longer and have a healthier life. HIV medicines also reduce the risk of HIV transmission. If you are taking HIV medications, don’t cut down on, skip, or stop taking them unless your doctor tells you to. How does Pifeltero (Doravirine) work? 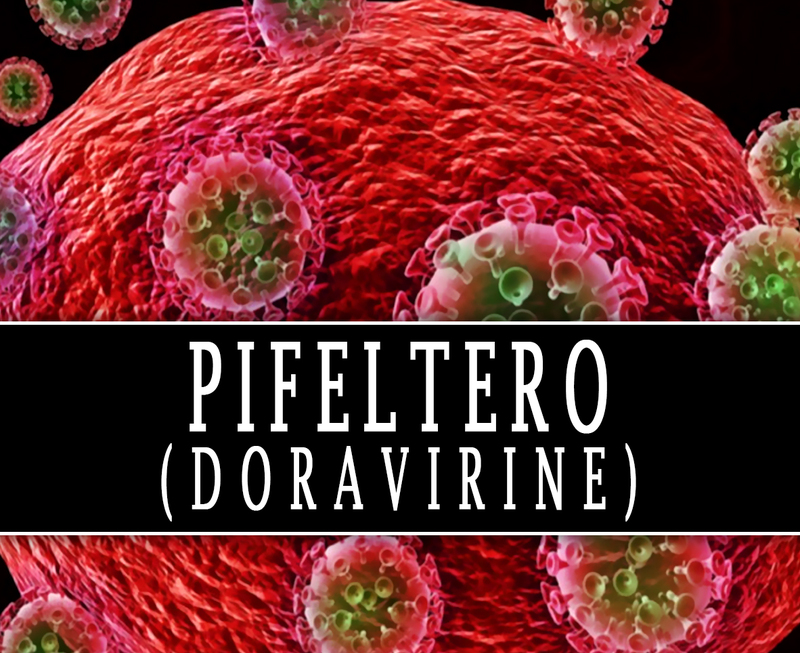 Pifeltero (Doravirine) inhibits the HIV reverse transcriptase enzyme in the virus. In which it results in the inhibition of HIV replication. HIV reverse transcriptase enzyme plays a crucial role in the replication of the virus in the body. The drug does not block other enzymes such as human cellular DNA polymerases and mitochondrial DNA polymerase. Pifeltero is an antiretroviral drug that contains Doravirine as an active ingredient. It is a pyridinone non-nucleoside reverse transcriptase inhibitor of HIV infection. This has been already approved by the Food and Drug Administration (FDA). This is available as film-coated tablets for oral administration. Each tablet has 100mg of Doravirine which is practically insoluble in water. How to use Pifeltero (Doravirine)? The recommended dosage is based on your condition and response. This is usually taken once a day. It is to be taken by mouth with a full glass of water. You may take it with or without food. It is important to take HIV medications exactly as it is prescribed. You should not keep any doses. To help you remember, take it at the same time every day. What are the side-effects of Pifeltero (Doravirine)? You should not share this medication with others even if they have the same symptoms as yours. If you are pregnant or breastfeeding women, consult your doctor first before taking this drug. Do not take more or less of this drug.